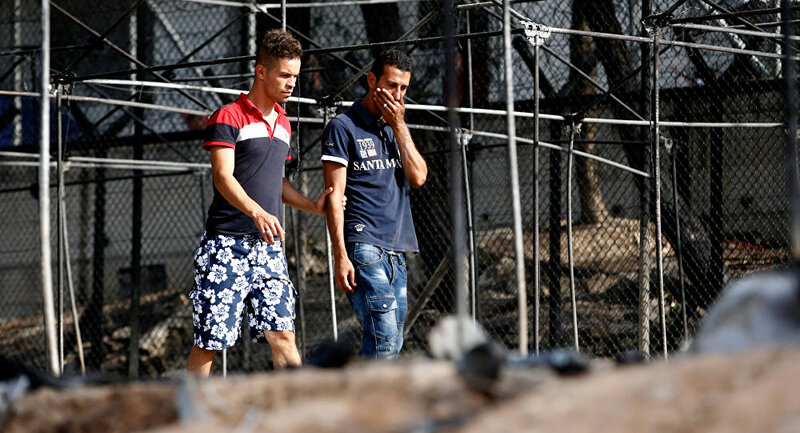 "After the fire was totally extinguished last night, the refugees began to return to the camp. Until this morning, the majority among them was already back. The camp is in absolute peace and intensive repair works have begun," the Office of the Spokesperson said. According to the office, the population of the camp was evacuated as a preventive measure. Some families were transferred to the Karatepe camp and several unaccompanied minors to the PIKPA facilities. No injuries were officially reported. "Family tents, mattresses, blankets etc. will be provided to the residents of the burned down shelters by the government, the UNCHR and the NGOs active in the camp, until new accommodation facilities are set up," the Office of the Spokesperson added. The office noted that there had been some slightly exaggerated reports about Monday events at Moria which did not exactly reflect reality.